አቡነ ጳውሎስ - ሕግ አውጪ፣ ሕግ አስፈጻሚ እና ሕግ ተርጓሚ!! ሁለተኛው የምንጮቹ ነጥብ ደግሞ ሓላፊው፣ “የጉዞ መሥመሩን አሻቅቦ ከሥልጣን ክሂሎቱ በላይ አልፎ ተገኝቷል፤ በዚህም የቤተ ክርስቲኒቱን ሁለንተናዊ አቅም ወደ ራሱ አመራር አዙሯል” በማለት ማኅበረ ቅዱሳንን በጥር ሠላሳው ደብዳቤያቸው የመክሰሳቸውን ያህል ራሳቸውም የመምሪያው ሊቀ ጳጳስ ብፁዕ አቡነ ቀሌምንጦስ ሳያውቁት፣ የመንበረ ፓትርያርክ ጠቅላይ ጽ/ቤቱን ዋና ሥራ አስኪያጅ ብፁዕ አቡነ ፊልጶስን እንዲሁም የአስተዳደር ዘርፎች ምክትል ዋና ሥራ አስኪያጁን አቶ ልዑል ሰገድ ግርማን በከፍታ ዝላይ ተሻግሮ ለብፁዕ ወቅዱስ ፓትርያርኩ ‹ቅሬታ ማቅረባቸው› ነው፡፡ እዚያው ሳለም ፓትርያርኩ ራሳቸው ደረጃውን ጠብቆ ያልቀረበ ‹ቅሬታ›ን መቀበላቸው ሳይበቃ “የማኅበረ ቅዱሳን ጽሕፈት ቤት ድርጅታዊ መዋቅሩን አለቦታው በመጠቀም የቤተ ክርስቲያኒቱን የሥልጣን ተዋረድ እየሸረሸረ እና እየጣሰ መሥራትን በስፋት እንደተያያዘው” ለመናገር እንደምን ይችላሉ? A cartoon characterized King Leopold of the Belgians as a monstrous snake crushing the life out of the black population of the Congo Free State, which was under the personal rule of the Belgian king from 1885 to 1908. እርሱ እንደተናገረው ሕዝቡ ውዥንብር እና መደናገር ውስጥ ገብቶ ከሆነም የውዥንብሩ እና መደናገሩ አንዱ መንሥኤ እርሱ እና እንደ እርሱ ባልተገባቸው ሰበካ የቆሙ [ሥራ ክቡር ነውና በጋሻው የጋራዥ ጎሚስታ የነበረ መሆኑ ሰውነቱን ባያሳንሰውም] ግብዞች ፓትርያርኩን ተተግነው የሚፈጽሙት ደባ መሆኑን በተለይ ዛሬ የሚስተው አይኖርም፡፡ “በአጠቃላይ ሳንጠነቀቅ መንፈስ እንዳዘዘን እናስተምራለን” ከሚል “የዘመኑ ሐዋርያ ነኝ” ባይ ምእመኑ ምን ይማራል? “ንጉሣችን ቅልጥ አድርጎ ይዘምራል፤ አባባ ሲተኛ እኛ እንነቃለን፣ እኛ ስንተኛ እርሱ ይሠራል፤ ሥላሴ ሲያጫውቱ ያሥቃሉ፣ እሺ፤ በጣም ነው የሚያጫውቱት፤ ተባበሩኝ ብለው የሚያሥቁ ኮሜዲያን አሉ፤ አብ ወልድ መንፈስ ቅዱስ እንደዛ አይደሉም፤ ለማርያም ከበሮ አይመታም ለጌታ እንጂ፤ ከጸበሉ ይልቅ የሚያጽናናቸው ቃሉ ብቻ ነው፤ በአንድ ወቅት በራስ ቅል ኮረብታ ላይ ኢየሱስ እና ዲያቢሎስ ቁማር ተጫወቱ…ዲያቢሎስም በጨበጣ ገባ፤ እኛ ሕዝቡን ጨፍረን እናምጣው፣ እናንተ መዝሙር አስተምሩት፤ እኛ ሕዝቡን ደንሰን እናምጣው፤ እናንተ ሥርዐት አስተምሩት፤ እኛ ሕዝቡን ጨፍረን እናምጣው እናንተ ሃይማኖት አስተምሩት፤ ይሄ ሕዝብ እኛ ሳንወድቅ ወድቋል፤ እኛ የምናምነው በፈውስ፣ በዝማሬ በጸጋ ነው፤ ‹በተሰጠኝ ጸጋ ሰይጣን ፎቶዬን ሲያይ መጮህ ጀምሯል› [ጋሞጎፋ ሳውላ ኪዳነ ምሕረት]” የሚል ሰባኪ ነኝ ባይ ዋልጌ የግል ተክለ ሰብእናውን ከመገንባት ውጭ እንደምን ምእመኑን በሃይማኖቱ ለማጽናት ይቻለዋል? wechew gudd... ayaseman neger yele. Ere MedhaneAlem yitebiken. Emebirhan lehulachin tihunen! what stupid strategy it is we fight together to tehdiso the so called begashaw and his followers do not worry the son of saint marry we be live in god. አጀንዳ ማስቀየሪያ መሆኑ ነው? አባ ጳውሎስ በየቦታው ከሚፈተፍቱ ሃውልቶን ያፍርሱ። ከወ/ሮዋ ጋር ያሉትን ግንኙነት ያጥሩ። ዘንድሮ ለአንባገነኖች አይሆንም እና በማስተዋል ይራመዱ።የምትችለውን ደብድብ ቢሉት ገብቶ ሚስቱን አሉ።በሃይማኖታችን እየመጡ መሆኑን ይረዱ!!! "እግዚአብሔር በአንድም በሌላም መንገድ ያስተምራል የሰው ልጅ ግን አያስተልም።"
"ይህ ዓይነት ግን ከጸሎትና ከጦም በቀር አይወጣም"
ያን ጊዜ እግዚአብሔር ይረዳናል !!! gud saysema meskerem aytebam alu.enersun sinkawem abat tebyewochu yibasu?yekedemu abatochachin amlak ayitlenim,be ewnet ye kesekesutin atint yasebal,aytewenim.GETA TOY SILEKEDEMUT KIDUSAN ABATOCH BILEH BETECHIRSTIANACHINEN TEBKILEN,AMEN. I know we have a scincer and critically loooking gov't. What I can say to is you will take a bless in yourlifetime for what ever you have done so far, but it will be million of times a bless you would get if you let us get rid of this studip man ' aba' G/medhin i.e. the current person in the seat of the Patriaric,. የቤተ ክርስትያን ሥራ መስዋዕትነትን የሚጠይቅ ነው። ስለዚህ የፈለገው መስዋዕትነት ይከፈል፤ ሰማያዊ ዋጋ የሚያሰጥ በመሆኑ እጅ ለእጅ ተያይዘን ቤተ ክርስትያናችንን እንታደጋት። ከንፈር መምጠጥ ብቻ ጠቃሚ አይሆንም። የማህበረ ቅዱሳን ወንድሞቼ እና እህቶቼ! አይዟችሁ በርቱ። ዋጋችሁን ከእግዚአብሔር ታገኛላችሁ። ድሮም ቢሆን እግዚአብሔር ያለ ነገር እናንተን ከብላቴን ጦር ካምፕ አላስነሳም። እኛ በማናውቀው፤ እሱ ግን በሚያውቀው ለጦርነት ልምምድ ከተላከው ወጣት ውስጥ ዛሬ ቤተ ክርስትያናችንን የሚያኮሩ፤ አስተምረው በምግባራቸው ምእመኑን ለቅዱስ ተግባር የሚያሠማሩ፤ የቤተ ክርስትያን፣ የአገርና የሕዝብ ጠባቂዎች አድርጎ ፈጠሯቸዋል። ትላንት፣ ዛሬም ነገም ከናንተው ጋር ነኝ። እግዚአብሔር ቤተ ክርስትያናችንን ይጠብቅልን! I have a question to all readers and Deje selam , "is Abba paulos is a True father"?, Look , we have to understand , a leader should lead by example. I know all ethiopian say " please don't jUdge". Look, if there is a criminal , he should get the penality. Nice reportage. But it is too long and not organized well as per the issues. Would have been better if it was posted in different parts and as per the issues. May God bless you and all us! የንጽህት ኦርቶዶክስ ውድ የቤተ ክርስቲያን ልጆች(ሆዳሞችን እና ከሀዲዎችን ሳይጨምር) አሁን የአቡነ ጰውሎስ ትክክለኛ ማንነት እየወጣና እየታወቀ ይመስለኛል ምክንያቱም ቅዱሳት ገዳማትን መርዳት እንደ ኃጢአት መቁጠር ምን ማለት ነው? ስለዚህ ይህንን አስቀያሚ(አቡነ ጰውሎስ) ቤተ ክርስቲያንን ከእነስረ መሰረትዋ ለማጥፋት ከሚተባበሩ ሰዎች ጋር አብሮ የሚያብርን ሰው በሃይልም ይሁን በውዴታ ከቦታው የሚነሳበትን ነገር መፈለግ አለብን፡፡ እናንተስ ምን ትላላችሁ? sile honew neger hulu IGZI'ABHEERIN linnameseggin yiggebbal. ahun ke inkilfachin lin neka , nissiham gebten le Haymanotachin, le Betekiristianachin linissellef yiggebbanal. ke ingidih ine bebekule Ye Mahibere Kidusan abal ihonalehu(betekiristianen be iwkete, be genzebe be gulbete lemagelgel, kenonawa, tiwfitua, sir'atua tetebiko indiketil iskemot dires lemetagel wessignalehu). Ye Fetari alamam yihe new inji igna indintefabet aydelem. sema'itinetunim lemin yemahibere kidusan abalat bicha yikedajalu? legnas Fetari mech kelekelen? Yallen bichegna amarach wede Fetari temelisen behiywet memelales, KE BITSUAN LIKANE PHAPHASAT jemiro hullachin yemmitebekibinin madreg bicha mehonun behiywet yallachihu tigenezebalachihu, behatyat wust yalen nissha gebten ENDEFEKADU memmelales sin jemir yigebanal. le hullum INDEYYESIRAW yemikefil Geta firdu yizegeyal inji indemmayker hullachin be irgitegninet sileminawk bemastewal ininager, bemastewal innasib, bemastewal inisira, bemastewal inimelales... FERAJU DAGNA YE DINGIL MARIAM LIJ IYYESUUS KIRISTOOS be fird wenber tekemto sale igna ferajoch anihun, LINISASAT INICHILALENINA. FERAJ GETA GIN TIKIKILEGNAWN FIRD BETIKIKILEGNAW SE'AT silemiset kegna yemmitebekewun lemesrat nege sayhon zare ininesa!!!!!!!!!!!!!! “ችግሩ ላይኛው ቤት እንደሆነ ዐውቄአለሁ፤ ሰውዬው የሚፈልጉት ማኅበሩን እንድንከስላቸው እና እንድናፈርስላቸው ነው፤ አቡነ ይሥሓቅ ከነሓሳባቸው እንደሞቱት እኔም ከነሓሳቤ መቃብር እገባለሁ እንጂ በዚህ አልተባበርም፤ ልጆቼን አሳልፌ አልሰጥም”...የድንግል ልጅ አንተም ልጆቼን አሳልፌ አልሰጥም በለን! አይዞአችሁ በጌታ ይህንን ቀን እናልፈዋለን እነርሱ ግን ያንን የክብር ቀን አያዩትም:: በዚህ መከራ ዉሰጥ ላላችሁት አባቶቼ እርሱ ተጋድሎአችሁን ያስፈጽማችሁ:: ይሄ ሁሉ የሆነው ለ እኛ ለክብር ለ እነርሱ ደግሞ መጥፊያቸዉ ነው:: ውጊያችን ከ እነርሱ ጋር አይደለም ከግብር አባታቸዉ ከዲያቢሎስ ጋር ነው እነርሱ በስጋ ስለተሰለፉ ደክመዋል ለኛ ደግሞ የጾሙ ወቅት ወደድል እየወሰደን ነው አጥብቀን እንጩህ! ሰልፉ የ እግዚአብሄር ነዉ!!! ለምን ስለ ቤተ ክርስቲያን ሱባኤ አንይዝም? እግዚአብሔር መፍትሔዉን እስከ ትንሳኤ ድረስ እንዲልክልን!!! ደጀሰላሞች ምነዉ በጸሎት እንጂ በወሬ የምንለዉጠዉ ነገር የሚኖር ይመስል ከማዉራት በጾሙ ዉስጥ ለሁለት ሳምንት ሱባኤ ለምን አታስይዙንም? ቢያንስ የአንዳችንን ጸሎት እግዜር ይሰማዉ ይሆናል!!! ለምነዉ እግዜር እንዲሰራልን አሳልፈን የማንሰጠዉ? ካለ መድሐኒአለም ጥበብ ይሄንን ፈተና ራሳችን የማንወጣዉ መሆኑን እስከመቼ አንረዳም? ለምን በሱባኤዉ እንደየችሎታችን የምናነበዉ ስለቤተክርስቲያን የሆነ ጸሎት አትለጥፉም? ለምን መንፈሳዊን ፈተና በተጥባበ ስጋ ለመፍታት እንፋትራለን? ለምን ወደባለቤቱ በጋራ አንጮህም? If we reason it out, we have to bear the burden, and the output may end up gruesome. If we all pray, God will fight the war!!! እኔ የምለዉ ግን በባለሐምሳዉ ሱባኤ እንያዝ!!!! ምክንያቱም ሰይጣን ጸረ-ጾም የሆነ ፕሮቴስታንታዊ ተሐድሶን ወደ ቤተ ክርስቲያን ለማስገባት ሲታገል እኛ እሱን ሳንጥል ጾም አንሽርም እንበለዉ። እባካችሁ በፈቃደኝነት የሚጾሙ ሰዎች የሚመዘገቡበት ኢሜል ላኩልን ከዚያ እንመዝገብ፣ ከዚያ የምናነበዉ ጸሎት ላኩልን። እና እግዜር ምልክት ሳያሳየን ስጋ አንቅመስ!!!! ምነዉ የአብርሃምን አምላክ እያመለክን ለምን ልባችን ይደክማል? Thank You Dejeselamawiyan sharing the information. As most of the comment says the report is too wide and too long its possible if you make it part by part. The other thing is am thinking that how Aba Pawulos is Lucky for this all times and with this all problems he was doing God gave him Time for regreation"yeneseha Edme" but still he couldn't use it and I belive its enough is enough for human but for God has ists own time we belive because EOC is blessed by the blood of God so we should have to pray and tell him to rid off or to do something for us this sould be our prayer after onwards. Bewunet engedih yihe hulu yeneseha edme tesetot kaltemelese amlake kidusan befelegewu ena esu bewededewu melku hulem eyandanu memen yebetecherstiyan guday yemigedewu hulu metseley alebet entseley beken ande egziabher eko minim hatiyatachin bibeza yeandum memen tselot yisemal lebetechrestiyan selam setel amlak hoy ante befekeedkewu melku ansalin belen entseley. beterefe Yewunet beter teketnalech enji ateseberim betigat yemitagelegilu wendemoche ena ehitoche yihe ffetena yatenekeral enji menem aydelem Mahibere kidusanim ye Mahibere sebakiyanim sira tetenakro meketel alebet egziabher bekirb gize wust meftehe yisetal esun enamnalen ahun memenanun mereje yemestet ana yemaregagat meseretawiwun yebetecherstiyanin astemero masawek yehulachinim halafinet newu kebetachin kegorebetachin jemero bedenb yebetecherstiyanachewun demits endileyu madreg newu yalebin. "Enough is enough" bewunet Aba paulosin amlak hoy befekadeh ante baleh akim egna akim yelenim ansalin. It will rather be the cause for eastern Africa revolt to happen in Ethiopia if the government keep its hands out of punishing criminals. I love my country and my church. If there is no rule of law, why not I take the initiative to cry publicly. Doubtlessly, I'll. “ችግሩ ላይኛው ቤት እንደሆነ ዐውቄአለሁ፤ ሰውዬው የሚፈልጉት ማኅበሩን እንድንከስላቸው እና እንድናፈርስላቸው ነው፤ አቡነ ይሥሓቅ ከነሓሳባቸው እንደሞቱት እኔም ከነሓሳቤ መቃብር እገባለሁ እንጂ በዚህ አልተባበርም፤ ልጆቼን አሳልፌ አልሰጥም” I emotionaly cried reading this part...May God give us Fathers who stand for Truth! I think it is the turning point for the church. Either we will survive or we will be fully changed to you know what. Unless we the people of the church react aggressively against church administration especially against "abune" Paulos. it is the time to make the scarification for our religion and our church. the question that should be answered is How? 1) As we know the meaning of [ ]= "according to me or us" but do you think all readers can understand it? Biased! 2) If it is true what the patriarch said, "we are trying to have little reformation", what kind of reformation? Regardless of his problem, absolutely I don’t believe the patriarch’s saying is“reformation of faith” but administration & management change. And if there are illegal preachers, chanters, tax collectors, writers etc reformation in this case is good. 3) I am the always reader of Deje Selam blog, but still I have not get any word which can expose MK’s problem except giving defense. Naturally, all human beings are immersed in problem including the patriarch, president or PM, but why not for MK? 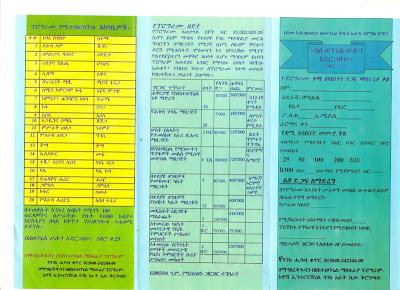 Thus, I have seen imbalanced reports in deje selam. Please get me, I don’t mean MK has not good role in the development of the church. 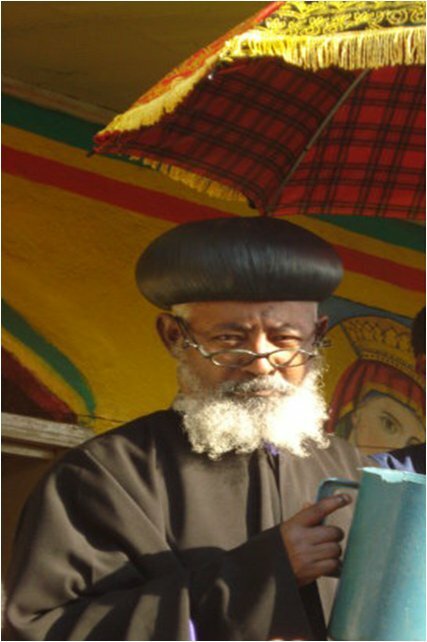 Dejeselam ebakachu, what is abune paulos e-mail address? Mhaiber kidusan bizega,100,000 Mahiber kidusans will be created. Don't worry, the base is not Abun paulos but Our GOD, EYesus Kiristos. ፓትርያረኩን ያሳሰባቸው ፍቅረ ስልጣን እና ክፉ ቅናት ይመስለኛል፡፡ ይህም ማለት የማህበረ ቅዱሳን ሁሉን አቀፍ እንቅስቃሴ እጅጉን አሳስቧቸዋል፡፡ ማህበሩ ጠ/ቤ/ክ መሰራት የነበረበትን ነገር ግን የተወውን በሙሉ ለመስራት እየተነገዘገዘ ነው፡፡ ምን ያደርግ ታዲያ? ይህ ደግሞ ፓትርያረኩን ክፉኛ አበሳጭቷቸዋል፡፡ ማሳያ ይሆን ዘንድ በአለፈው ዓመት ማህበሩ ከተለያዩ የአብነት ት/ቤቶች መ/ራን ጋር ለመወያየት ጠ/ቤ/ክ አዳራሽ ተሰብስበው እነዳለ አሳቸውም ተጋብዘው መጥተው ነበር፡፡ በወቅቱ እሳቸው ሰርግ ሰላለ እነደሚቸኩሉ ስለተወቀ ረፖረቱ ተሎ ቀረበ እና መድረኩ ተሰጣቸው፡፡ ከዚያም ማህበሩ እየሰጠ ያለውን አገልግሎት የመይመጥን ንግግር አደረጉ እና ለመሔድ ሲነሱ የዲማዋ ባለቅኔ መነኩሴ ግን ለእረሳቸው ለመቀኘት ተዘገጂተው ሊቀኙ ሲሉ ለሌላ ጊዜ ይሁንልኝ ብለው የሊቃውነቱን ቅስም የሚሰብር ንግግር አድርግው ወጡ፡፡ እሰኪ አስቡ ጎበዝ! አሁን እነዚህን የቤ/ክን ፈርጥ ያሰባሰበ ማህበርን ማጣጣል ምን ማለት ነው? የእነሱንስ ወይይት የሚያስተው ምን ዓይነት ሰርግ ነው? ብፅኡነትዎ ሆይ! እባክዎ አይፍሩ፤ ማህበሩ የቤ/ክንን ሕግ አክባሪም አስከበሪም ስለሆነ ስለጣንዎትን አይወስድብዎትም፡፡ ማህበሩን ለማጥቃት የሚያጠፉትን ጊዜ እና ጥረት ለቤ/ክ አገልግሎት ያውሉት! አይድከሙ፡ ከእገዚያብሔር ጋር እየታገሉ ነው፤ ማህበሩ እነደሆነ መንፈስ ቅዱስን የሚያስደስት አገልግሎት እየሰዋ እና ጥበቃም እየተደረገለት ነው፡፡ መንግስትም በአስቴር በኩል መረጃም ምልጃም ይቀርብለታል! MASFERARATU??? yetlemede new!!!! !.yetgnahi yemahiberu abal nika!!!!! DROWUNS KAND MENAFQ PATRIARK MINYITEBEKAL ABBA GEBRE MEDHIN ENDEHONE BETE CHRSTIANN KEMATWETABET AZEQT KETO LEMEWUTAT NEWE YEFELEGEW YETEWAHEDO AMLAK ANDE KEN YIFERDAL AYI TEWAHEDO ? FITH YELE MENGIST YELE GIN KEMNU ZEMEN DERESN SILE THEOLOGY FIRD BET KEWESENE TADIAY YEHAYMANOT NETSANET BEWEYANE ABABAL KEMNU GA NEWE SANFELG ETHIOPIAWINETACHINN EYETELAN NEWE EKO !!! YEETHIOPIA AMLAK FITH YALEBET MENGST YEHIZBN CHUHET YEMISEMA YAMTALIN WEYANE AHUNM BETECHRSTIANN BECHEKUN AMLAKE KIDUSAN ENE FERONNM KEKEY BAHIR ASTMOAL!!! Do you believe in the power of prayers? Do you have confidence in God, that He forgets not prayers? Shall we be more emotional or far-sighting Christians with your day to day informations? What is the importance of hearing 'the sins of Abune Paulos' unless you are able to mobilize the people to a solution, i.e. to prayers? What is your difference from Begashaw's group, for both of you are amassing 'tifozos' and claiming to serve the Church - and surprisingly none of you are guiding us to the Lord, God of Abraham? Shall we do the it, or tell the Lord to do this business? Is the God of TekleHaymanot sleeping, you believe so? Is He not zealous of His house? Why don't you arrange a 'Subae' prayers for the whole Church-goers - so that everyone who loves the betterment of Tewahido do cry on the matter to the Lord, God of Abraham!!! Please lets not eat meat, even in Pascha, unless we see the Lord's might!!!!??? In this we do demonstrate that the Lord, is with us!!!! Please don't let my messages down - I am committed to do my part. Lets cry for the Church, God may turn to us. Lets tell the fathers in 'Gedamat' about this issue. Please let others know this and arrange a prayer note that we do read at our 'Subae'. 1. please arrange subae for all ethiopians untill we get answer from our God. 2. the information should be screened out well and be sure that it may not be diverted into different direction. 4. please inform about the movement of other associations like mahiber kidusan against the reformists. 5. please display the actual work of mk through the blog. Lets cry for the Church, God may turn to us. Lets tell the fathers in 'Gedamat' about this issue. Please let others know this and arrange a prayer note that we do read at our 'Subae'. I am agreed with Natnael. You MK members, why you are murmuring when your sin is revealed? We clearly know both Begashaw's group and yours are "to be business men". Is that good being a compititor in the field of the church by worldly material? Why don't you leave the church and go to comericial area? I think it is better for you if you return to God otherwise you will harvest what you sow. Aye "Natnael!" how can we go further by taking many very emotional persons like you? When a monk and Mahibere Kidusan fade up, their last work is creating troubles and noises through collecting children and idle women. Although the issues raised in this site are relevant, we are tired of hearing labeling by mentioning names in impolite manner. Please criticize only in such way a person or an organization repents wrong doing. The duty of Mk should be to teach the younger generation on EOTC creed. Sp ritually enlightened citizen will understood the danger of tehadiso,etc. Mk shall not be the whip of the church. Small prayer is more useful than long cry. GOD will keep our Church to the end times. I also believe that 'Subae' may can change all this. The guy who talked about 'Subae', your idea is appreciated. God can change all things in a day!!! We are required, only to tell Him, to do so. He will cut off all the chaff from the wheat, to cleanse His house. First, we have to understand that its not about MK. its about the reality of OUR CHURCH. its obvious that no one can judge and decide by just listening from one side, so for the people who has a doubt about MK first try to look what's going on from broader perspective then you will give your decision or comments.The other thing for the people who is saying lets pray, these days saying this is becoming our "slogan" with no action. Here is the thing this issue will be a "HOT" issue for the coming 2 weeks or so but after that its business as usual for us. If we could remember to say (being busy we might forget to say it) its better to say ABUNE ZEBESEMAYAT every morning just for this. In addition to this we have to change our 'liberal' position to a true Orthodox christian. we are practicing our religion as long as its suitable for our daily life.That's why I used the term liberal. May the ALMIGHTY GOD help us. Amen! ሰይጣን ሊሳካለት ነው ማለት ነው? እና ቤተክርስቲያናችን ወደ ውስብስብ ችግር ልትገባ?እንዴት የሚጠብቃት ይተኛል? ለምንስ ፊትህን ትሰውራለህ? መከራችንንና ችግራችንንስ ለምን ትረሳለህ? himem tesemagn /i feel sick/ Abetu Geta hoy betihin tebik, betihin atira. ታዲያ በዚያን ጊዜ ሲቃወም የነበረ የእምነት ጀግና ምዕመን አሁን ኑፋቄ ሲዘራ ለመቃወም የት ደረሰ ? 2. በ1988 እና 1989 ዓ.ም እነ ዲያቆን ግርማ እና እነ በወቅቱ አባ ዮናስ /አሁን አቶና ባለትዳር/ ክብረ ቅዱሳንን ሲያቃልሉ የእነ ዮሐንስ አፈወርቅና የእነ ቅዱስ አትናትዮስ መድረክ አይረክስም ብለው በቅዱስ እስጢፋኖስ በቅዱስ ያሬድ በቅዱስ ዮሴፍና በገርጂ ቅዱስ ጊዮርጊስ የተቃወመው የእምነት አርበኞች ወዴት አሉ ? 4. በልደታ ለማርያም በቅድስት ስላሴ በቅድስት ማርያም በምስካየ ኅዙናን በቅዱስ ዑራኤልና በሌሎችም ሰ/ት/ቤት ኑፋቄን የተቃወሙ ተቃውመውም ያስወገዱ የ118ቱ ሊቃውንተ ቤ/ክ ልጆች ወዴት ተዋጡ ? ምዕመናን አጥብቀን እንጸልይ !እንጸልይ !እንጸልይ! 100% agree with "Justice" comment. 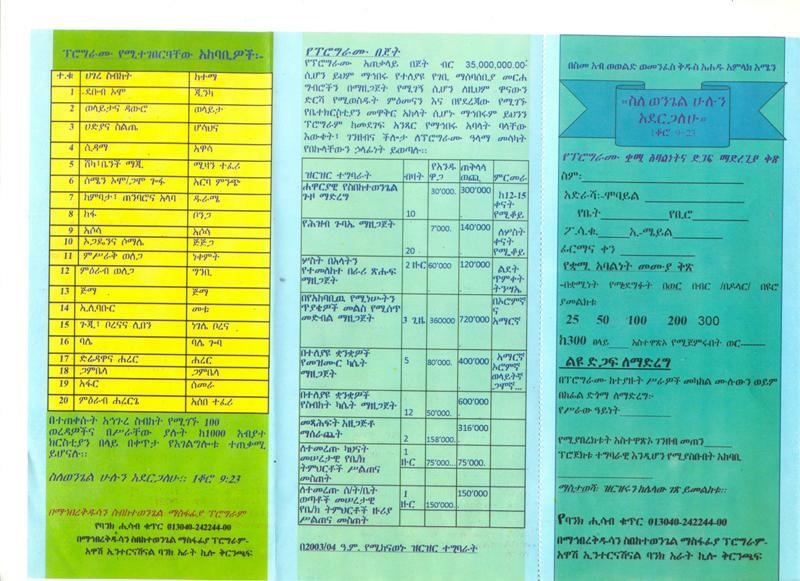 ዸጀ ሰላሞች እኔ ይህን አስተያየት የሰጠው ሰውን ሃሳብ እጋራለሁ አባካችህ የሚቻለውን ሁሉ አደርገን ሱባዬ እንያዝ"""ለምን ስለ ቤተ ክርስቲያን ሱባኤ አንይዝም? እግዚአብሔር መፍትሔዉን እስከ ትንሳኤ ድረስ እንዲልክልን!!! ደጀሰላሞች ምነዉ በጸሎት እንጂ በወሬ የምንለዉጠዉ ነገር የሚኖር ይመስል ከማዉራት በጾሙ ዉስጥ ለሁለት ሳምንት ሱባኤ ለምን አታስይዙንም? ቢያንስ የአንዳችንን ጸሎት እግዜር ይሰማዉ ይሆናል!!! ለምነዉ እግዜር እንዲሰራልን አሳልፈን የማንሰጠዉ? ካለ መድሐኒአለም ጥበብ ይሄንን ፈተና ራሳችን የማንወጣዉ መሆኑን እስከመቼ አንረዳም? ለምን በሱባኤዉ እንደየችሎታችን የምናነበዉ ስለቤተክርስቲያን የሆነ ጸሎት አትለጥፉም? ለምን መንፈሳዊን ፈተና በተጥባበ ስጋ ለመፍታት እንፋትራለን? ለምን ወደባለቤቱ በጋራ አንጮህም? If we reason it out, we have to bear the burden, and the output may end up gruesome. If we all pray, God will fight the war!!! እኔ የምለዉ ግን በባለሐምሳዉ ሱባኤ እንያዝ!!!! ምክንያቱም ሰይጣን ጸረ-ጾም የሆነ ፕሮቴስታንታዊ ተሐድሶን ወደ ቤተ ክርስቲያን ለማስገባት ሲታገል እኛ እሱን ሳንጥል ጾም አንሽርም እንበለዉ። እባካችሁ በፈቃደኝነት የሚጾሙ ሰዎች የሚመዘገቡበት ኢሜል ላኩልን ከዚያ እንመዝገብ፣ ከዚያ የምናነበዉ ጸሎት ላኩልን። እና እግዜር ምልክት ሳያሳየን ስጋ አንቅመስ!!!! ምነዉ የአብርሃምን አምላክ እያመለክን ለምን ልባችን ይደክማል?""" "Naturally, all human beings are immersed in problem including the patriarch, president or PM, but why not for MK?" Your logic seems like "because MK is composed of children of Adam, and children of Adam are susceptible to mistakes, then MK's should have one." Read about the History of the Church, specially the Three Ecumenical Councils. How does the Holy Spirit guide His Church? Why do we accept St. Athanasius, St. Cyril and other notable Church fathers, being men? Do you expect a winged angel to give command in the Church of Christ, The Son of God, who likened to be called Son of Man? Because MKs are men, then there should be a crafted 'mistake' against them on deje selam, just to convince someone like you!!! Do you see that your 'liberal' logic lead you to fallacy? I advise you to stay tuned with facts, and not chaffy 'liberal' principles. dear Christians, why all this is happening? I hope GOD is punnishing his people for their evil doings. I think it is better to pray and confess our sins and let GOD solve our problems and lead us. I started reading this page recently. I belong to Orthodox but too far for service. I understand that there is a lot of problem happening on this Church. I had prefered to be far from all these. I now believe that it is time to come close and part of the solution. I believe that the solution is from God. But I also understand that I have a share on the way forward. My people, don't worry but do what you should do (prey, fast and also take action like helping Mahiberkidusan and sharing information.) I decided that I should help on what I could. I believe that God will help us in all our good wish. We don't know, it may be time that God has started to filter *enkirdard from Fre". Please let us be strong. This is religion after all. We can't be sielent. If we should die we will do it. ለካስ አምላካችን አባቶቻችንን አስተኛቸው እንጂ አልገደላቸውም! ይኸው ጊዜው ሲደርስ ከእንቅልፍ ቀሰቀሰልን! አባቶቻችን እባካችሁ ዳግመኛ አታነቀላፉ፡፡ በተኩላ እንዳንበላባችሁ!!! በቅዱስ ሲኖዱስ ውስጥ ያሉ አባቶቻች ባለፈው ውሳኔ የግለሰብንና የሲኖዶስን ልዩነት በተግባር አሳይታችሁናል፤ ታሪክ ሠርታችኋል፤ አኩርታችሁናል፡፡ አሁንም አሁንም ታሪክ ሥሩ! እኛም እውነተኛ አባቶች አሉን ብለን እንናገር፡፡ የቤተክርስቲያናችን ሥርዓቷ ሲናድ፣ ቀኖናዋ ሲጣስ፣ ሕጓ ሲበላሽ፣ ትታደስ ስትባል ዝም አትበሉ! አምላከ ቅዱሳን ብርታቱን ያድላቸሁ!!! የማኅበረ ቅዱሳን አባላት በርቱ!!! እውነት ትቀጥናለች እንጂ አትበጠስም አይዟችሁ!!! በየገዳማቱ ጸሎት አስይዙ!!! አምላከ ቅዱሳን ተዋህዶ ሃይማኖታችንን ይጠብቅልን!!! Kidus WWEK MS Thank you very much qale hiwot yasemalin. dejeselamoch bertu. Before I tried to give a comment I have been thinking about the issue for more than one day.Finally it is clear to me that now is the time for us to ask about where we stand.Our church has an orthodox faith on God,Trinity(not like protenstants),and intercession by saints.if anyone has different idea i.e not a member of EOTC.so please MIEMENAN donot make your references people base it by the DOGMA of the church.Aside from adminstrative issues if anyone tries to preach a different doctrine that has to be dejected.At last please be cool and try to assess different options before we label individuals and also seek spiritual solutions but if things go wrong I think we have to stand for our faith like YEKEDEMU ABATOCH. ምን ፡ ባጎደለች ፡ ነው ? Next to him is Patriarch Bartholomew, the Ecumenical Patriarch who is humble, yet who has written and thought multitudes of Christians. Look where they are sitting, Paulos on throne, and wearing a crown. ኧረ እባካችሁ የተግባር ሰዉ ብቻ እንሁን!!! ሱባኤማ ወቅቱ ራሱ ነዉ ያጣነ ልብ እንጂ!! !እባካችሁ ወገኖቼ እየተዘናጋን ነውና ተግተን እንጸልይ እላለሁ!!! መልካሙን ያመጣልን ዘንድ እመቤታችን ፀሎታችንን ከልጃ ከቸሩ አምላካችን ታማልደን!!! አቤት አንተ ከንቱ ሰውዬ ኃጢአትህ! 1.ወደስልጣን ከወጣህበት ሂደት(በፓትርያርክ ላይ ፓትርያርክ ሆኖ መሾም) ጀምሮ ኃውልተ ስምእ እስካስገነባህበት ዘመን ድረስ ሥርዓተ ቤተ ክርስቲያንን ከመናድ ወደኋላ ያልክበት ጊዜ መቼ ነው? 2.በየሥርቻው በሥጋ ዘመድ ተተብትበህ ንጹሀን ሠራተኞችን ስትረግጥ፣ ስትለይ፣ ስትከፋፍል፣ ደጋፊ ስታበዛ መኖርህ አንድ ቀን እንኳ ተሰምቶህ ያውቃል? 3.የአንድ ፖለቲካ አራማጅነትህስ ከአንድ "ፓትርያርክ" የሚጠበቅ ተግባር ይሆን? 4.እነአቡነ ሽኖዳ ሕዝባቸውን ለማስተማር፣ ለመምከር፣ ለመገሰጽ ስንት መጻሕፍት ጻፉ? በስንት መድረክ ላይ ሕዝባቸውን በመባረክ አስተማሩ? በአንፃሩ አንተስ ስንት የግደለው፣ የእሠራው፣ የአውግዘው፣ የአሰናብተው ወዘተ. ደብዳቤ ጻፍክ? አቡነ ሽኖዳ ዕድሜአቸው እንደማቱሳላ እንዲረዝም ከራሳቸው ህዝብ አልፎ እኛ ስንቴ ጸለይን? ፈጣሪ አንተን እንዲያጠፋህና ተዋህዶ እንድታንሰራራስ ስንቴ ተማጸንን? 5.ሁሌም የሚገርመኝ በፈጠረህ ማንኛውም ሰው ወ/ሮ ኤልዛቤል ለቤተ ክህነት ምንድን ናት? እዚያ ቦታ ላይ ምን ጥልቅ አደረጋት? በቅዱሳን ጳጳሳት መካከል ከአንተ ጎን ሆና ለስብሰባ መታደሟና አዛዥ ናዛዥ መሆኗ ምን ቤት ነው? ተብለህ ብትጠየቅ መልስህ ምን ይሆናል? 6.ገጠር ላይ ካለችው ወጪ እንጂ ገቢ ከሌላት ምስኪን ቤተ ክርስቲያን ሳይቀር ሱሪ በአንገት እያስገደድክ በየአመቱ የምታስሰበስበው ገንዘብ ሁሉ(እሣት ሆኖ ይብላህ እንጅ) ለየትኛዋ ቤተክርስቲያንና አገልጋይ መደጎሚያ ዋለ? 7.የተወሳሰበውን ደባና ተንኮልህን ተወውና በእግዚአብሔር መንበር ላይ ተቀምጠህ ነገር ግን እግዚአብሔርን ሳትፈራ ለእውነት የቆሙ ጳጳሳትን ሳይቀር በቀጠርካቸው ወሮበላዎች ማስደብደብህ የቅድስና ሥራ ወይስ የምን? 8.እንኳን በሕይወትህ ከሞትክ በኋላ እንኳ መንበሬ ላይ ማንአባቱ ይቀመጣል? እያልክ በጥርጣሬ የምትመለከታቸው፣ ሞታቸውን፣ ስደታቸውን የምትመኝላቸው አባቶች(እየተሳካልህ ቢሆንም) ስንት ናቸው? አሁንም ግን ፈጣሪ ለንስሃ ሞት ያብቃህ ዘንድ እንለምነዋለን! This article is soooo long, but I read it all. So Is Mahbere Kidusan going to respect demand from the Synod? Are they going to disclose financial info etc? This hasen't been answered. The Synod didn't say the mahber should be disolved (I wish that was the case), so what is the harm in respecting the simple demand? Don't get it. 2)ከላይ ለመጥቀስ እንደሞከርኩት ክርስትና ልክ እንደፓርቲ አባል ተሁኖ የሚቀመጡበት ሳይሆን ራስን ለቅድስናና እንደሌሎች ቅዱሳን ለከፍተኛ ንጽህና የሚዘጋጁበት ሕይወት ነዉ። ክርስትና ኪስን ሳይሆን ልብን፣ ገንዘብን ሳይሆን ደምን የሚገብሩበት ሕይወት ነዉ። አሁን ያለነዉ ጥቂት የማንባል ምዕመናን ግን ክርስትናዉ ትዝ የሚለን ጥምቀት ሲደርስ ብቻ ነዉ፣ ልደትንና ትንሳኤንም በጭፈራ የምናሳልፍ ነን። በደም የተገዛን ሰማያዊ ልዕልና ደግሞ እንደዚህ እያላገጡ ማቆየት አይቻልም፣ መቆረጥ አለ። አምላክ ታግሶ ሲጨርስ ያራግፋል። በዚህ ጊዜ አምላክ በርህራሄዉ ያስበን እንጂ፣ ባለ ወፍራም ድምጾች በንስሐ ካልተመለሱ ሲቆረጡ አብረዉ ለመቆረጥ የተዘጋጁ ፍሬ አልባ ቅጠላም የወይን ዛፎች አለን። የእግዜር ትዕግስት ሲያልቅ ከተዋህዶ የበረከት አደባባይ እንዳይቆርጠን እንጠንቀቅ!!! ቅዱሳን አጥንታቸዉን በከሰከሱበት የጽሞና አዉደ ምህረት ላንቃ እስኪዘነጠል እየጮሁ መዛለል አያስቆርጠንም ትላላችሁ? ልክ እንደ አዉሮፓዉያን ማለት ነዉ፣ በነገራችን ላይ አዉሮፓ በሚቀጥሉት 50 አመታት ዉስጥ ኢስላማዊ አህጉር እንደምትሆን ግምት አለ(http://www.youtube.com/watch?v=_kKkY5EpVpY&feature=fvwrel)፣ ምክንያቱም እነሱ ከላይ እንዳነሳሁዋቸዉ አይነት የስም ክርስቲያኖች ሰለሆኑ ነዉ፤ አሁን ቅዱስ ስሙንም ሊነፈጉ ነዉ - የደም ዋጋ ተከፍሎበታላ!!! ስለዚህ እያንዳንችን የምንወደዉ ወንድም ዘመድ ጉዋደኛ ካለን አብሮ እንዳይቆረጥብን ወደንስሐ እንዲቀርብ እንምከር እናስመክር። ልብ ያለንም ስለፈተናዉ እንጸልይ፣ መራገፉ በቀላሉ እንዲያልፍ። አምላክስ ቤቱንና በመንፈስ የሚያመልኩትን ምዕመናን አይተዉም፣ እኛ ግን ራሳችንን ከጌታ ጋር ማድረጋችንን ርግጠኞች እንሁን - በወፍራም ድምጽ ተበልተን አልቀን እንዳንሆን!!! በተረፈ፣ ይኼ ፈተና የተጋረጠው ማህበረ ቅዱሳን ላይ ሳይሆን ቤተ ክርስትያናችን ላይ ነው። ማህበረ ቅዱሳን እውነቱን ለመግለጥ እግዚአብሔር በሚያውቀው መሣሪያ ነው የሆነው። ብዙ ጊዜ እግዚአብሔር ታላላቆቹን ለመገሰጽ ሲፈልግ ታናናሾች በተባሉት ይጠቀማል። ማህበረ ቅዱሳን ለቤተ ክርስትያናችን ሆነ ለኃይማኖታችን፣ ለኛም ለኦርቶዶክስ ተዋህዶ እምነት ተከታዮች ብዙ ተግባራትን ፈጽሟል፣ እየፈጸመም ይገኛል፤ ወደፊትም ይፈጽማል። ማህበረ ቅዱሳን ከሌሎቹ ማህበራት ለየት የሚያደርገው፣ ከቤተ ክህነት ይበልጥ ኢትዮጵያ ውስጥ የሚገኙትን አብያተ ክርስትያናት እና ገዳማት በመረጃ ለይቶ መያዙ፤ በአባላቱ ነፃ አገልግሎት (ጊዜያቸውን፣ ዕውቀታቸውን፣ ገንዘባቸውን ሰውተው) ችግሮቻቸውን ተገንዝቦ በአገር ውስጥም ሆነ በውጭ አገር ባሉት መዋቅሮቹ አማካኝነት ገንዘብ በማሰባሰብ መፍትሔ ለመፈለግ ደፋ ቀና ማለቱ ...ወዘተ ነው። ይኼ የኔ የ18 ዓመት ትዝብቴ ነው። ከእኔ በላይ እነሱ ስለ ራሳቸው ሊናገሩ ይችሉ ነበር። ከንቱ ውዳሴ እንዳይሆንባቸው ሥራቸው ብቻ ማንነታቸውን ይገልጸዋል እንጂ። ማህበረ ቅዱሳንን ለማጥፋት መነሳት ውቅያኖስን በማንኪያ ለመጭለፍ እንደመሞከር ይሆናል። የነሱን ፈለግ የምንከተል በብዙ ሚሊዮን የምንቆጠር የቤተ ክርስትያን ልጆች አለንና! አባ ጳውሎስንና ተከታዮቻቸውን እግዚአብሔር ይቅር ይበላቸው! Be very happy for that we get a chance in participating in the cross of our lord and in the exhaustion of prior saints so that we will have pride in heaven. Revolution is necessary in our church. 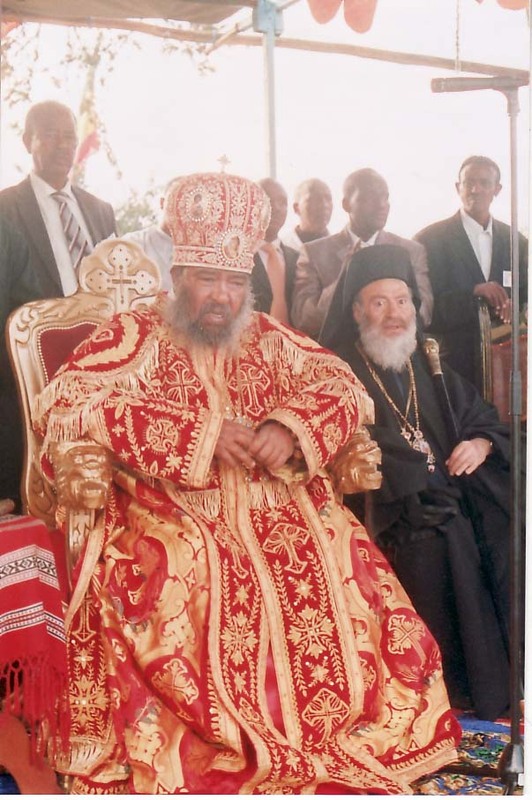 the church belongs to the people who respect the church not to Abune Paulos. he is a fallen fellow. he never fullfill his duty. he pass the church to Jackeles and Dogs who have no mercy. its wealth is stolen in the day light and now its faith in line for sale. we need to speak now. enough is enough. when it comes to its opposition he tried to allied the case with politics, but the government should knew. በእውነት በቤተ ክርስቲያናችን ላይ ሲደርስ የኖረውንና እየደረሰ ያለውን አሳዛኝ ፈተና ብዙኃኑ ምእመናንና ምእመናት እንዲያውቁትና ቤተ ክርሰቲያኒቱ ልጆቿን እንዳታጣ የማስጠንቀቂያውን ደወል ድምጽ ለማድረስ በምታደርጉት ጥረት ከሃሌ ኵሎ የኾነው አምላካችን ረድኤቱና ቸርነቱ አይለያችኁ፡፡ እኛም የቤተ ክርስቲያን ልጆች በፈተናው ሳንፈታ በጸሎት እንድንተጋ እየኾነ ስላለውም ነገር እርስ በርሳችን እየተወያየን የራሳችንን ሕይወት የቆምንበትን ሥፍራ በመመልከትና ለመንፈሳዊ ሕይወት የማይመቸውን አካኼድ በንስሐ ሕይወት በማስተካከል ስለ ራሳችንና ስለ ቤተ ክርስቲያን እንዲኹም ስለ ውዲቱ ሀገራችን ኢትዮጵያ በእውነት በዕንባ ወድቀን ልንለምነው ይገባል፡፡ በእርግጥ ቤተ ክርስቲያን ዘወትር በፈተና ላይ እንደኾነችና ፈተናዋም እስከ ዓለም ፍጻሜ ድረስ የሚቀጥል እንደኾነ ከመጻሕፍትና ከአበው መምህራን አንደበት እንረዳለን፡፡ ነገር ግን እርሱ መድኃኒታችን እንዲኹ በከንቱ አይተወንምና በነፋሱ ና በጎርፉ አብረን እንዳንጠፋ ለሌሎችም መጥፋት መሰናከያ እነዳንኾን በጸሎት መትጋት ቀዳሚው ጉዳይ ሊኾን ይገባዋል፡፡ በተቀረ ሌላው በመጽሐፍ የተነገረው ትንቢት እየተፈጸመ መኾኑል ልብ ብለን በማስተዋል ቃለ መጽሐፍ እስከ መጨረሻው የሚጸና እርሱ ይድናል እንደሚል እኛም በሃማኖትና በምግባር ጸንተን እንድንቆም የቤተ ክርስቲያናችንም ችግር በቅዱሳን ጸሎትና ምልጃ ተወግዶ ለትውልዱ ችግር ሳይኾን ትውፊት አንድናወርስ እርሱ በፈቃዱ ይርዳን! እናንተንም እግዚአብሔር ያበርታችኁ ይጠብቃችኁ!!! የእመቤታችን ጸሎትና ምልጃዋ ከኹላችን ጋር ይኹን! አሜን!!! በእውነት በቤተ ክርስቲያናችን ላይ ሲደርስ የኖረውንና እየደረሰ ያለውን አሳዛኝ ፈተና ብዙኃኑ ምእመናንና ምእመናት እንዲያውቁትና ቤተ ክርሰቲያኒቱ ልጆቿን እንዳታጣ የማስጠንቀቂያውን ደወል ድምጽ ለማድረስ በምታደርጉት ጥረት ከሃሌ ኵሎ የኾነው አምላካችን ረድኤቱና ቸርነቱ አይለያችኁ፡፡ እኛም የቤተ ክርስቲያን ልጆች በፈተናው ሳንፈታ በጸሎት እንድንተጋ እየኾነ ስላለውም ነገር እርስ በርሳችን እየተወያየን የራሳችንን ሕይወት የቆምንበትን ሥፍራ በመመልከትና ለመንፈሳዊ ሕይወት የማይመቸውን አካኼድ በንስሐ ሕይወት በማስተካከል ስለ ራሳችንና ስለ ቤተ ክርስቲያን እንዲኹም ስለ ውዲቱ ሀገራችን ኢትዮጵያ በእውነት በዕንባ ወድቀን ልንለምነው ይገባል፡፡ በእርግጥ ቤተ ክርስቲያን ዘወትር በፈተና ላይ እንደኾነችና ፈተናዋም እስከ ዓለም ፍጻሜ ድረስ የሚቀጥል እንደኾነ ከመጻሕፍትና ከአበው መምህራን አንደበት እንረዳለን፡፡ ነገር ግን እርሱ መድኃኒታችን እንዲኹ በከንቱ አይተወንምና በነፋሱ ና በጎርፉ አብረን እንዳንጠፋ ለሌሎችም መጥፋት መሰናከያ እነዳንኾን በጸሎት መትጋት ቀዳሚው ጉዳይ ሊኾን ይገባዋል፡፡ በተቀረ ሌላው በመጽሐፍ የተነገረው ትንቢት እየተፈጸመ መኾኑል ልብ ብለን በማስተዋል ቃለ መጽሐፍ እስከ መጨረሻው የሚጸና እርሱ ይድናል እንደሚል እኛም በሃማኖትና በምግባር ጸንተን እንድንቆም የቤተ ክርስቲያናችንም ችግር በቅዱሳን ጸሎትና ምልጃ ተወግዶ ለትውልዱ ችግር ሳይኾን ትውፊት እንድናወርስ እርሱ በፈቃዱ ይርዳን! እናንተንም እግዚአብሔር ያበርታችኁ ይጠብቃችኁ!!! የእመቤታችን ጸሎትና ምልጃዋ ከኹላችን ጋር ይኹን! አሜን!!! 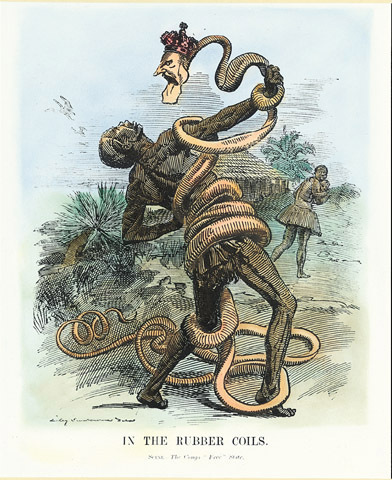 Our fathers were not dependent on forieners for everything b/c they were very strong in their Hoimanot. But now our fathers need help form out side forieners from unrelated Haimanot. Did we here from our TV that "The newmellinium dam is constructed by our people"? If so, why the religious learning processes (especially the one in Mekelle) need more help form unrelated religious institutions? I don't expect one to say me, b/c there is no money. B/c our people very kind in this way. However, I am thinking there is a mistrous selphish movement aimed to colapse the non-collapsable churh (i.e. Orthodox). I my self was not very serious in my religion but from this time on wards I want to be along the side of mahiberkudusan (the real generations of our forefathers). God give heart for those in negative way before their death.